The Ethics of Now: James Forman Jr.
James Forman Jr. challenges all of us—black and non-black, liberal and conservative alike—to take responsibility for the tragedy of mass incarceration. And to take action to do something about it. With a lawyer’s clarity and activist’s compassion, he shows why Americans concerned about crime made the choices they did and reminds us that we have the power to make better, more just decisions. Use Uber code eadbx23 for the event! The Ethics of Now is a series of conversations between Duke historian Adriane Lentz-Smith and a range of artists, advocates, and authors that explore the ethical challenges facing the Durham and Duke communities. 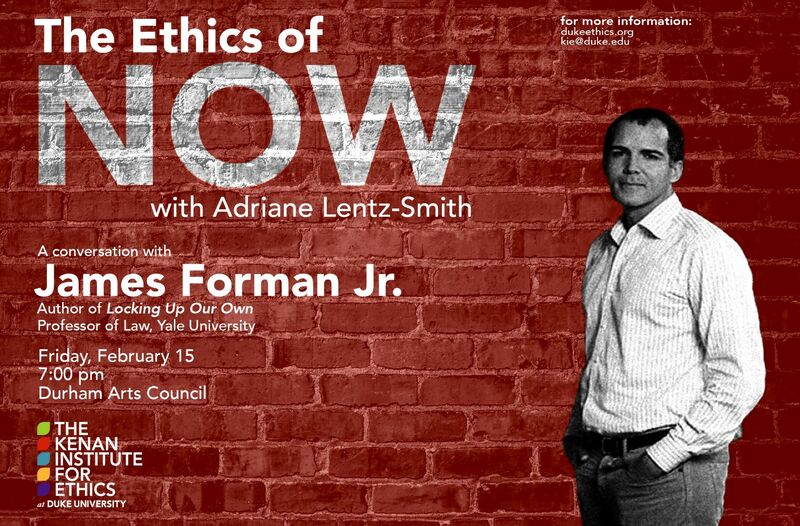 Check out the Ethics of Now Speaker Series here.